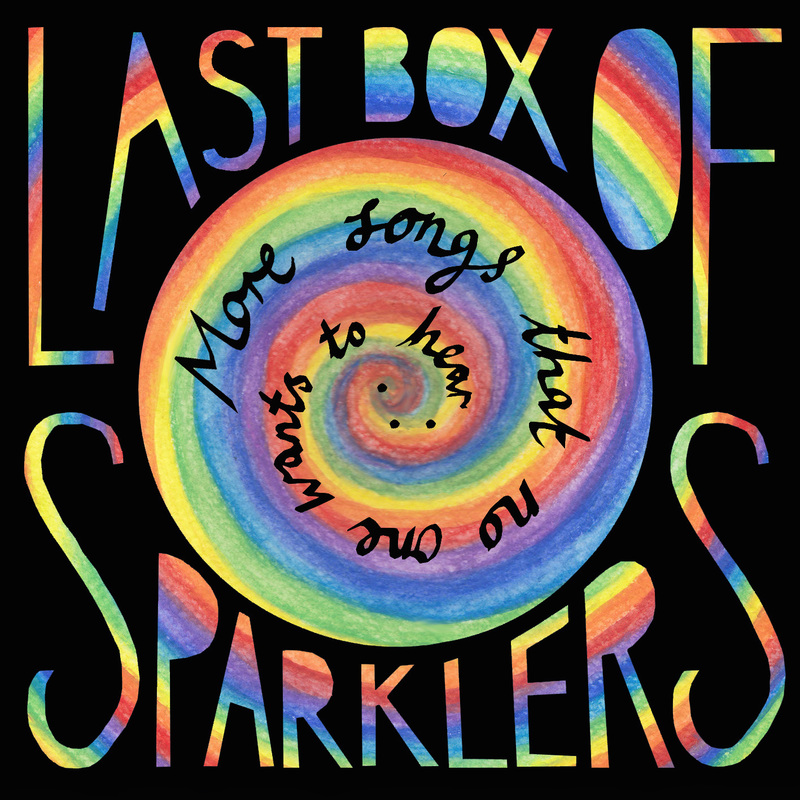 Time for another Last Box of Sparklers cover! Erik wanted a gun this time, something I was less than enthusiastic about. 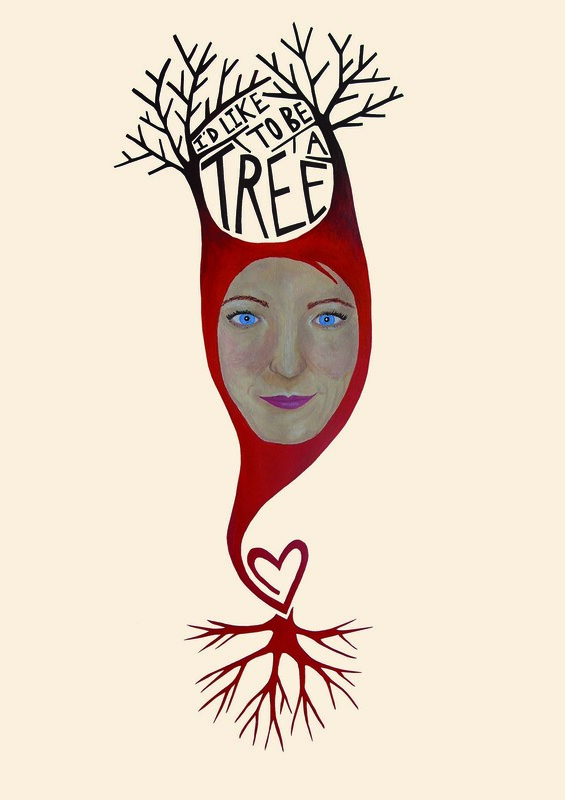 I like trees and birds and the sea and nice things like that. 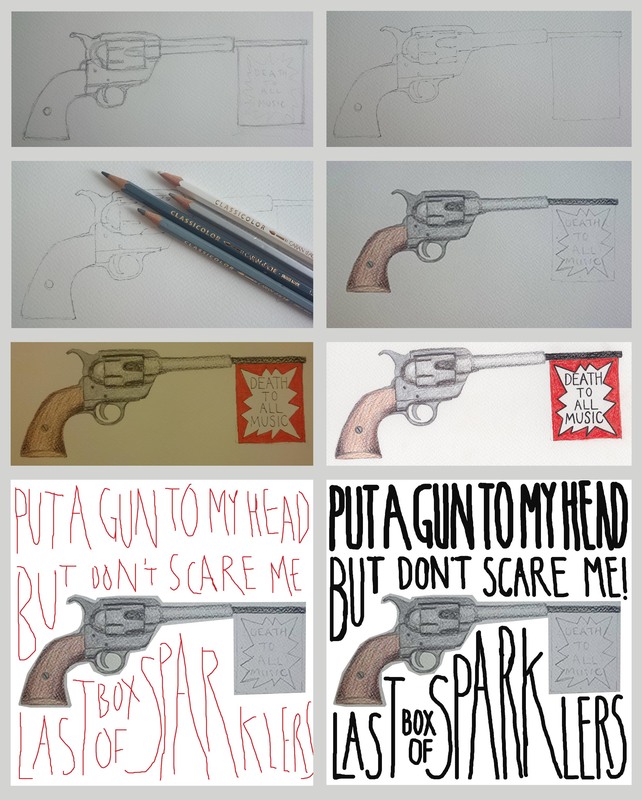 So I compromised and drew one of those joke guns – the ones that have a flag with the word ‘Bang’ that pops out when the trigger is pulled. I went about it in my usual fashion: sketching first with pencil then drawing over with fine-liner. 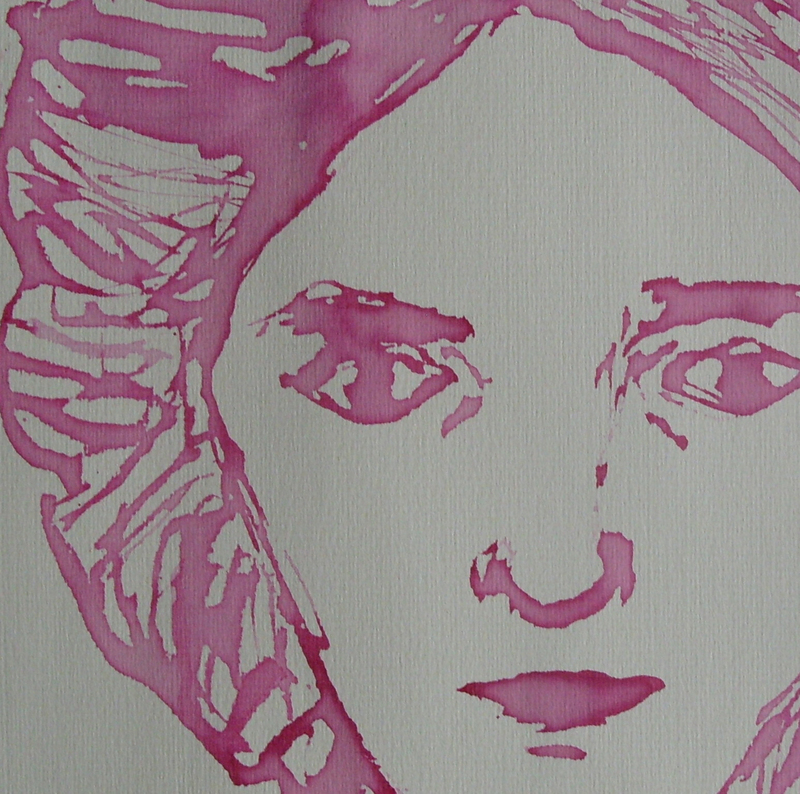 I used watercolour pencils next and was intending to paint afterwards but I liked the texture and so left it at that. After scanning it was time for lettering on Photoshop, the most time-consuming part of the process. Below is the work in progress and the final result. 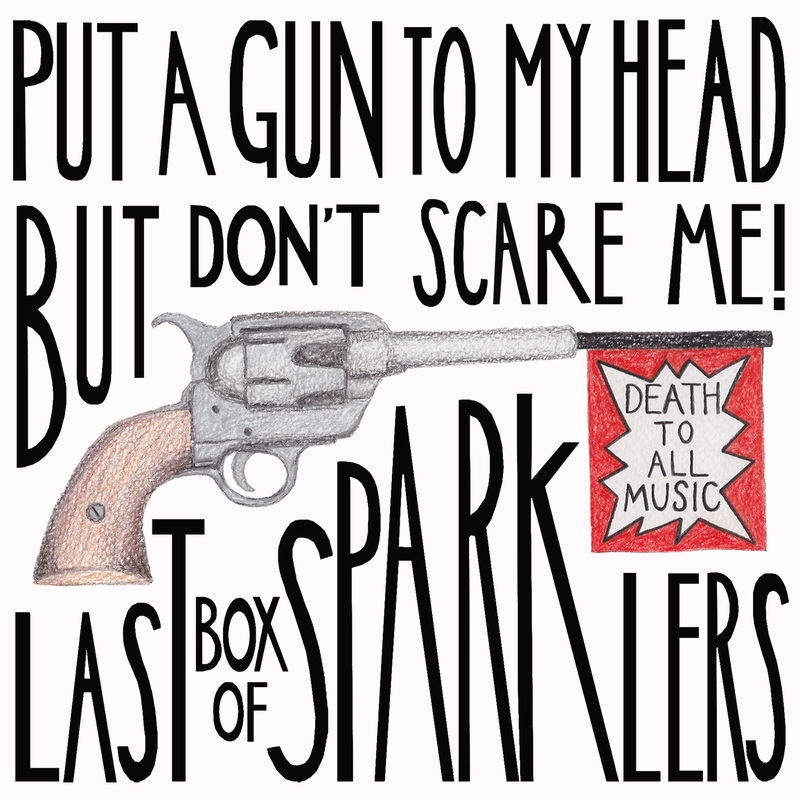 You can listen to the album here: Last Box of Sparklers – Put a Gun To My Head But Don’t Scare Me! Happy Monday everyone! I’ve been in England for a week and have been having a splendid time catching up with family and friends. Earlier today I left my paintings at the Mill Arts Centre, where they’ll be exhibited alongside some fantastic work from eleven other Parched Artists. Opening night is on Thursday, from 6-9 pm. Come see! 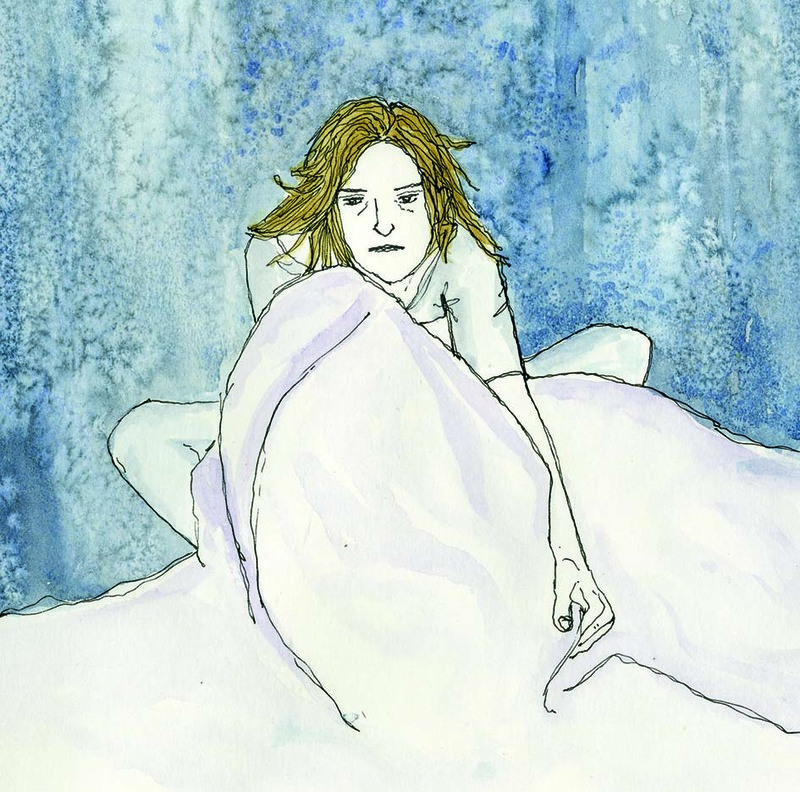 Besides art, writing is my biggest passion and I love illustrating my own texts. A story came to me the other day and now I have a poem (which I may call Stargirl) that I’m really excited to illustrate! 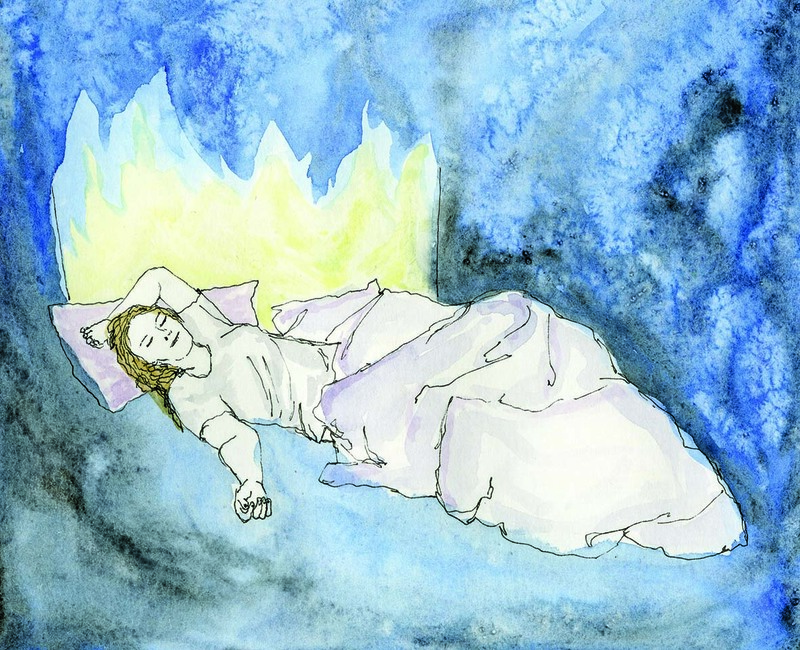 These are a few of the images I created for a story I wrote in 2008 called “The Dwelling Place”. 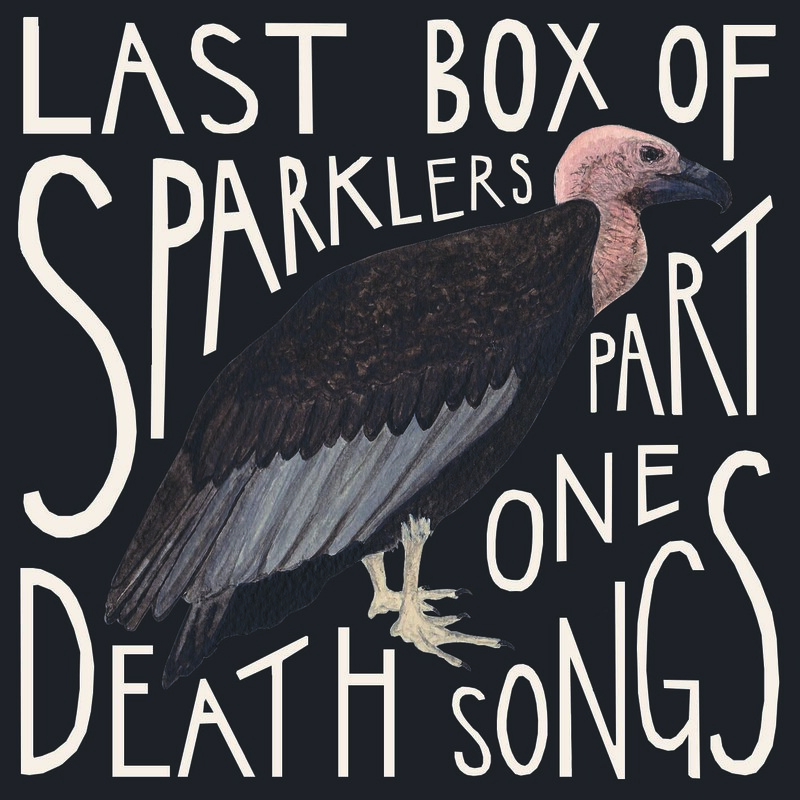 Now that it’s released I can share the cover I did for the latest Last Box of Sparklers EP (https://lastboxofsparklers.bandcamp.com/album/death-songs-part-one/ and Last Box of Sparklers – Death Songs (Part One)). I like to use my own experiences in my art as much as possible and for almost all my bird pictures I’ve spent time watching and photographing birds and then used those photos for reference. Getting to know a bird’s character makes it easier and more enjoyable to create a good portrait. For this cover I’ve painted a vulture and unfortunately I’ve never met one in real life so I had to resort to the internet. 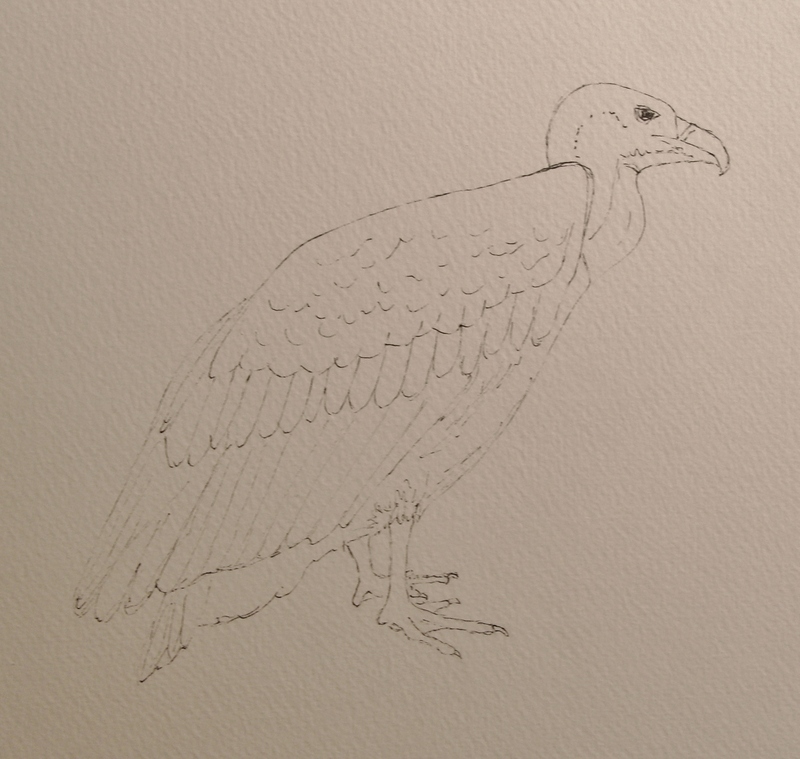 Vultures are fascinating creatures with a lot of symbolism surrounding them – a perfect subject. 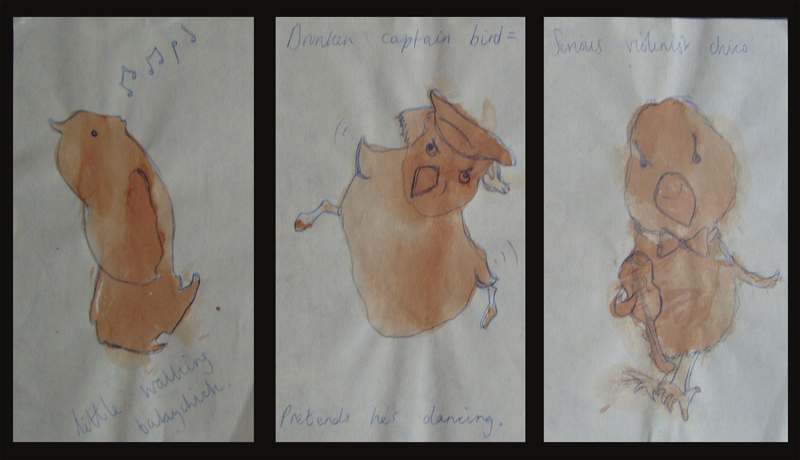 As always, I sketched the bird in pencil first, then drew over the ‘right’ lines with a waterproof pen. 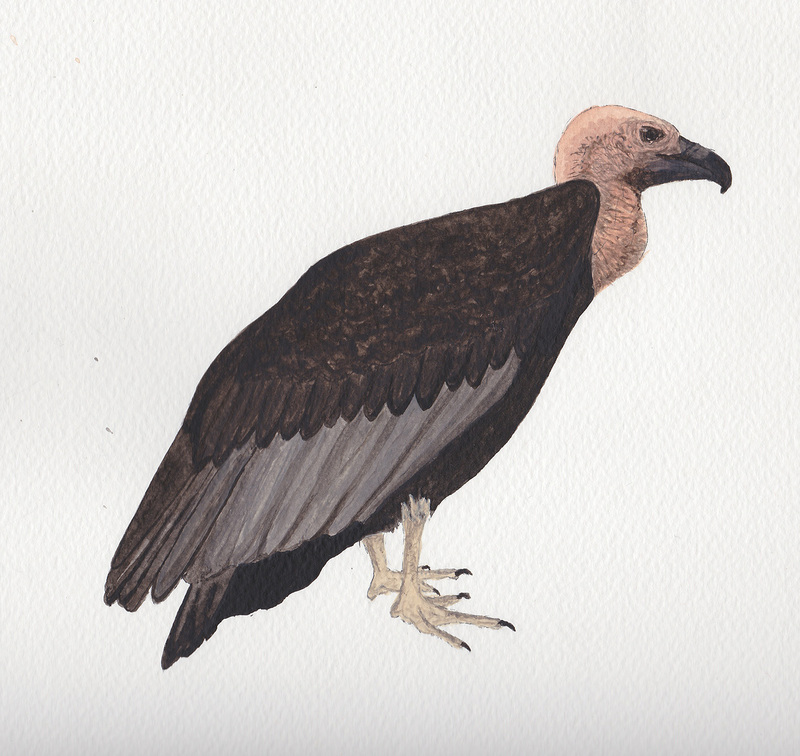 Then it was time for watercolours and I especially enjoyed painting the texture of the vulture’s wrinkly neck. On Photoshop I added a plain dark background and my own lettering and the result is my favourite LBoS cover yet! I talk about ‘playing’ a lot and this is a typical example: I boiled some beetroot for dinner last night and, as always, admired the beautiful colour it had turned the water. 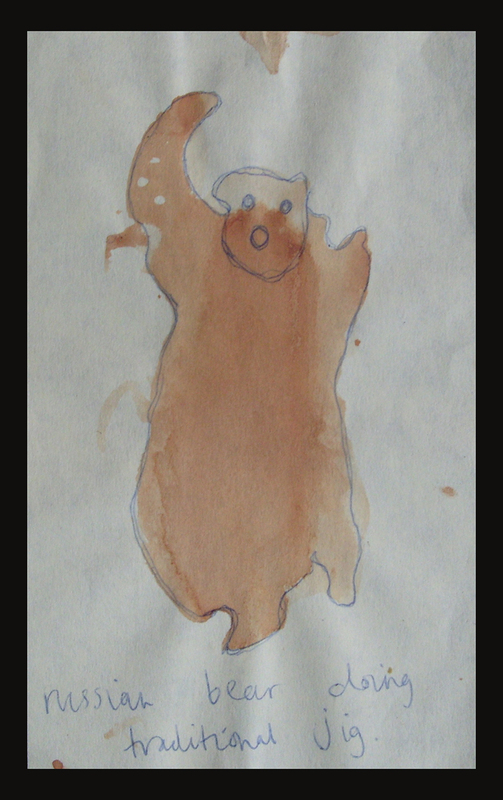 But I didn’t stop there – I dipped a teaspoon into the pan and began sketching! I’ve used beetroot dye before (https://orelavokes.wordpress.com/2012/08/14/happy-sounds-and-sights) but this time the colour was more intense. 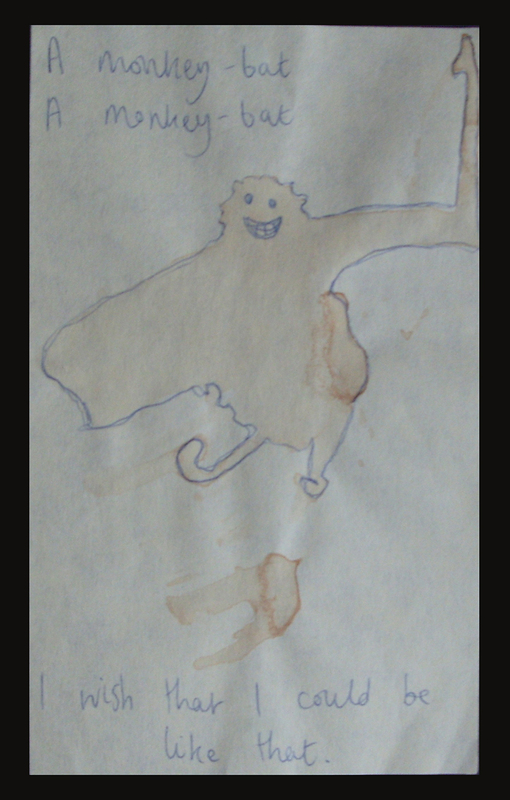 I love the idea of using natural dyes but I’m worried that they’ll fade quickly, however these doodles I did on tea-stained post-it notes in 2007 have kept their colour so I think it’s definitely an area to explore. 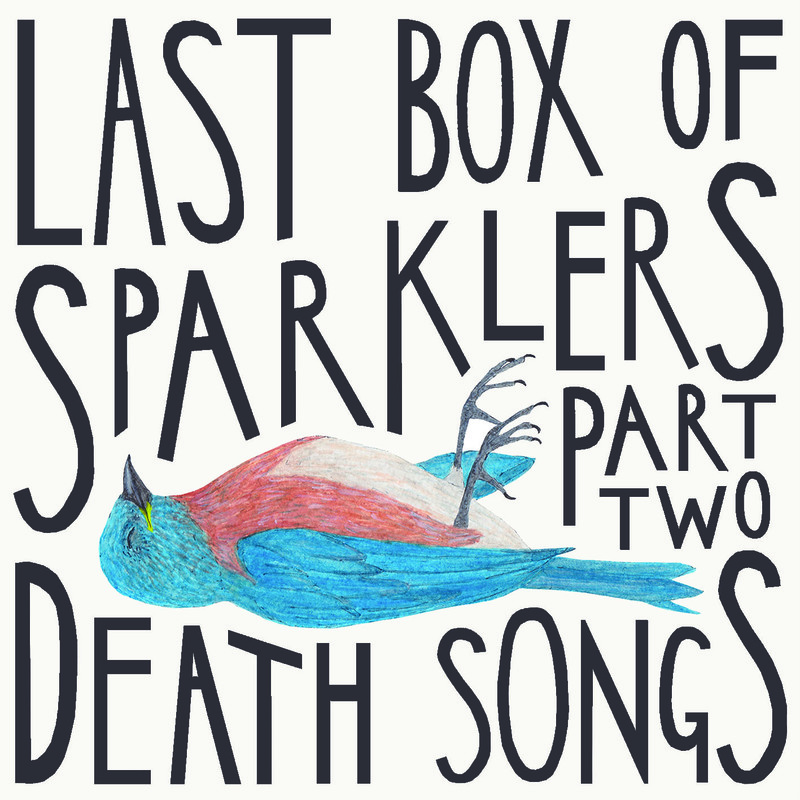 Erik is playing an anti-racism event here in Gothenburg tomorrow and as I was gathering up some Last Box of Sparklers CDs I remembered that I hadn’t posted the artwork for the latest EP, Sad Words. 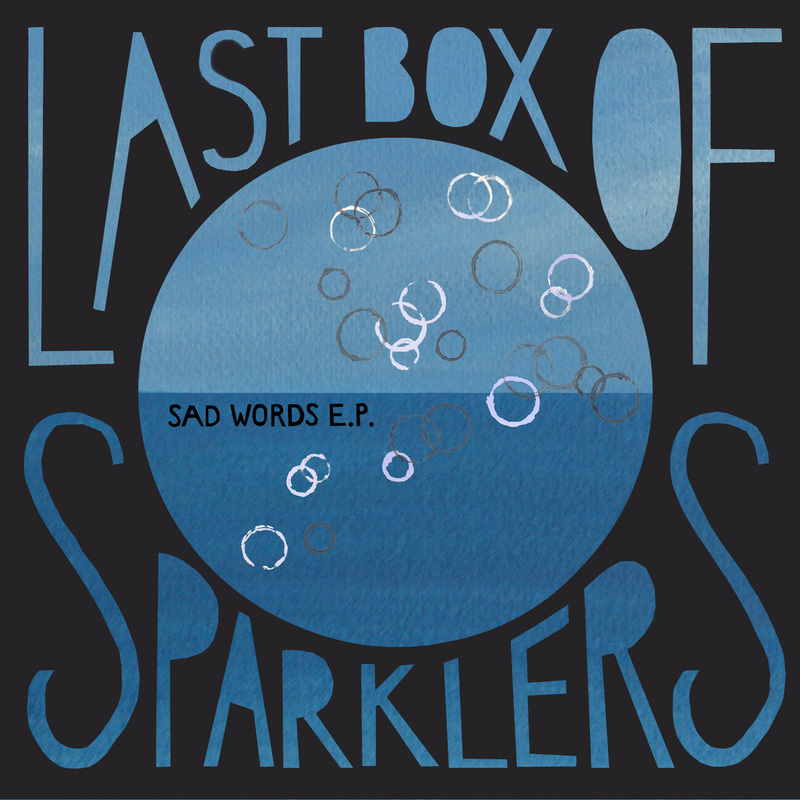 (Last Box of Sparklers – Sad Words E.P.) 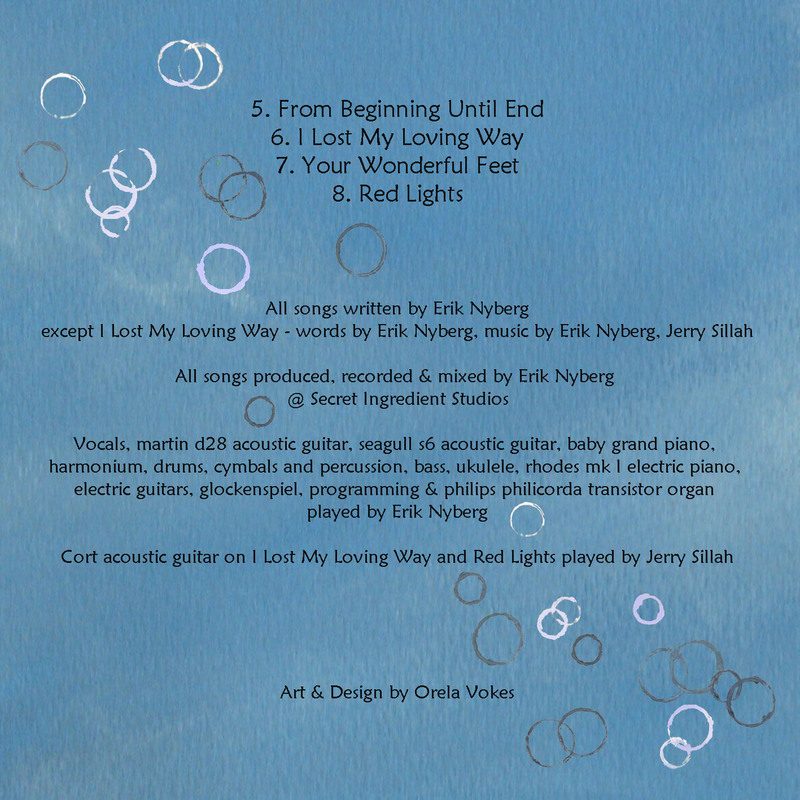 Erik and I both had some pretty clear ideas of what we wanted to incorporate, including bubbles and the colour blue. Painting the sea and sky and experimenting with different techniques to create a bubble effect took a few days but the whole process was much quicker this time as I worked with the same layout I’d created for the first EP. “This is going quite massively wrong.” Sketchbook work inspired by one of my favourite books, Guilt and Gingerbread by Leon Garfield.